Join the network of more than 3,000 resellers who work unconcerned with Neolo's white label reseller hosting. The best price and the maximum capacity of the market. Ideal for designers, programmers, consultants and web consultants of all types of organizations. All hosting plans for resellers include WHM, cPanel, PHP, unlimited MySQL databases, unlimited email accounts, unlimited subdomains, and unlimited technical support. You can activate Cloud Hosting for your website at no extra cost. You choose whether your reseller hosting clients have PHP / MySQL and hundreds of preinstalled modules in their accounts. White label DNS and Control Panel so you can resell your own name. Your customers will be able to create a quick and simple website. Make all the backups you want from your clients and download them to your computer for greater security. Manage your clients from Web Hosting Manager in a simple and fast way. 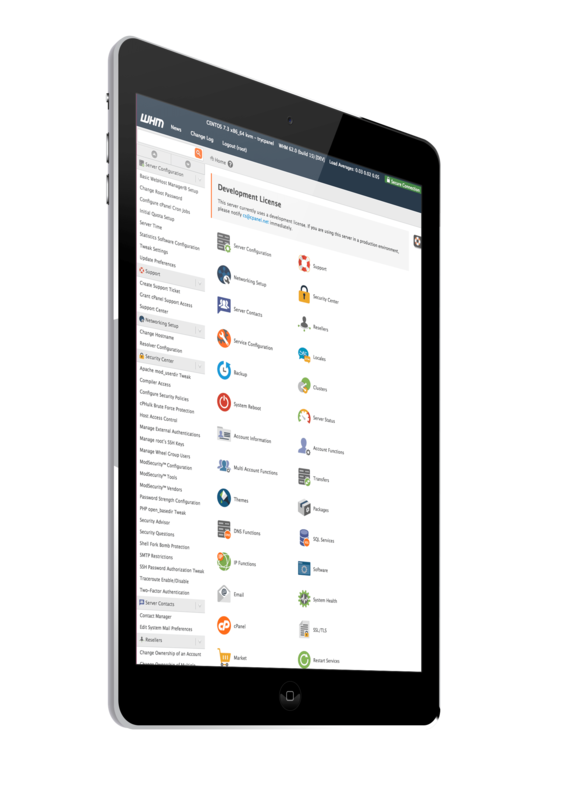 Also cPanel for your customers to self-manage. In multiple languages. Unlimited databases for websites, no more worries. 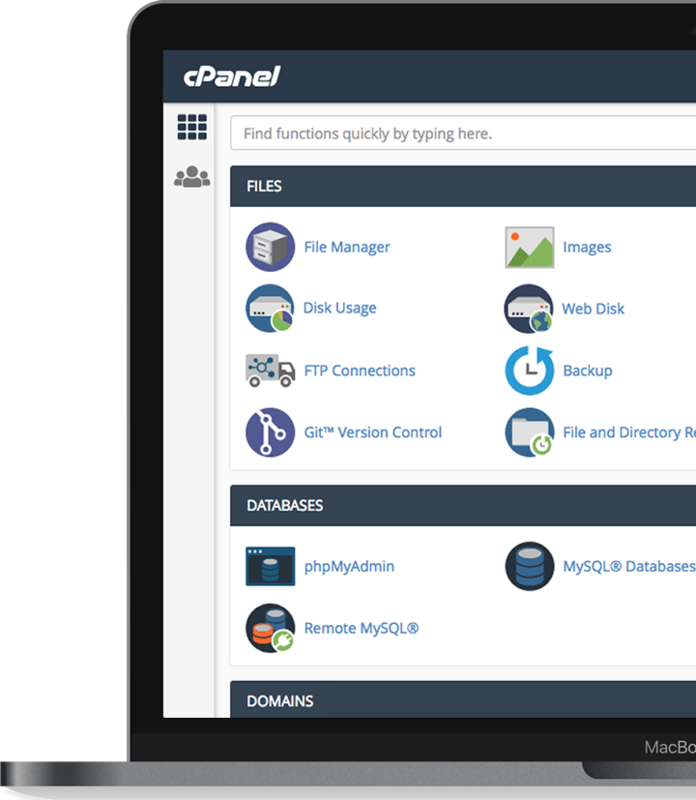 With cPanel your clients will be able to manage their website, email accounts and databases. With WHM you will be able to create hosting plans, create your clients accounts, access and manage them easy and fast. Is it mandatory to resell? No. Many users of plans for web hosting resellers are bought by people or organizations that have many websites and it is more convenient to hire this type of service. What is the difference between an unlimited hosting plan and a reseller hosting plan? The main difference is that in the unlimited hosting plan you will have 1 cPanel panel only for all your domains. In the reseller plan you will have one cPanel for each domain and also a main WHM panel to manage all the domains. In this way, with a reseller hosting plan you will have much more control over each domain, and you can also provide user and password to each domain so that it has its own administration. Can I see a demo of WHM and cPanel? Of course! It is the # 1 panel in market. 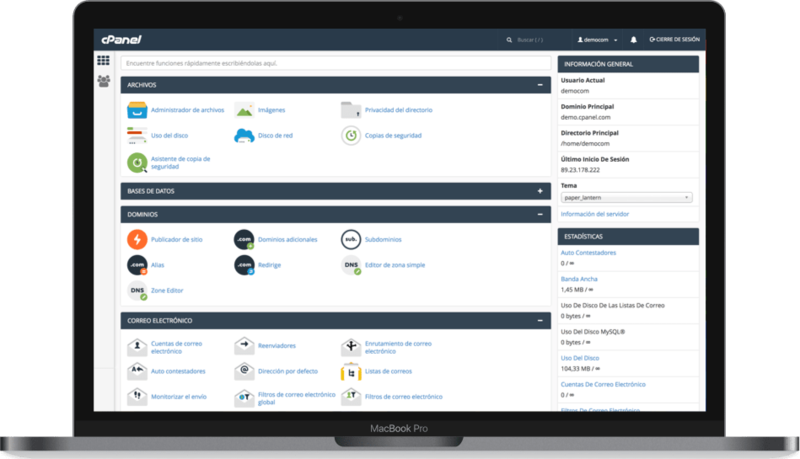 Here you can access a cPanel test (you can change the language) and from here a WHM test. Keep in mind that we will provide videotutorials, guides and all the personalized help you need. Do hosting plans for resellers include SSH? For security reasons, they do not include SSH. Who provides support for hosting accounts within the reseller hosting? We make sure that the hosting works 24 hours. But the support of programming and web design will have to be provided by you to your customers. Obviously you can consult us for any questions you may have. What unlimited features do I have in the hosting for resellers? Unlimited MySQL databases, unlimited subdomains, unlimited email accounts, unlimited email redirects. Is there a limit on the number of emails to send? I'm in another hosting provider. Can you migrate my accounts with you? Yes, of course. If in your previous provider you used cPanel / WHM then it will be very simple. If you used another panel, please consult us to determine the simplest form and analyze if we can do it at no cost. Yes, we do weekly and monthly backups and move them to another datacenter. However, we recommend that you take care of the backups of your customers. What other services can you provide us to resell? All services offered by Neolo are white label and you can resell them. Domains, hosting, vps, dedicated servers, managed wordpress, digital marketing, etc.